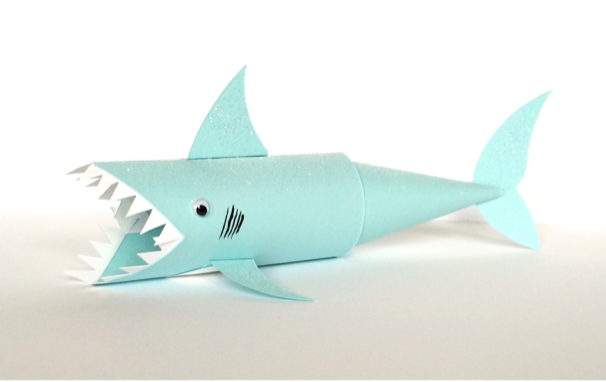 Shark week has seem to become a phenomenon during the summer time and I thought it would be fun to make my own little shark friend, uh well I don't know how friendly this guy is showing off those scary teeth! 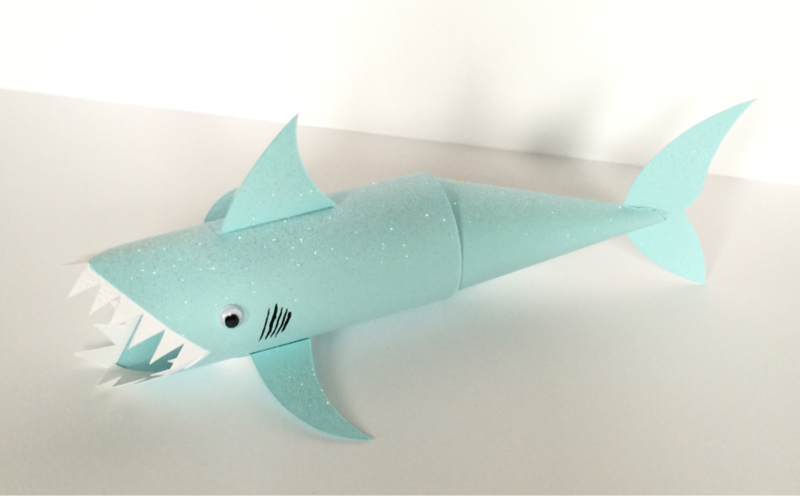 I added a cone to the body of this tube craft to elongate and emphasize the shape of an actual shark. A dusting of iridescent glitter gives that fresh from the ocean wet look as well! See the full tutorial here at hellowonderful.co.